The annual rate of change of M3 stood at 0.2% in July 2010, unchanged from the previous month. The three-month average of the annual rates of change of M3 over the period May 2010 - July 2010 stood at 0.1%, compared with 0.0% in the period April 2010 - June 2010. 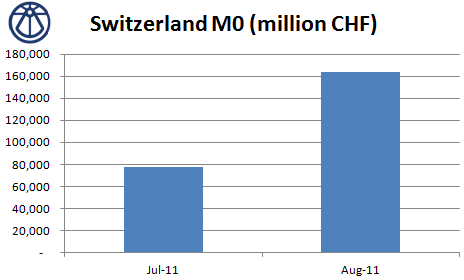 Regarding the main components of M3, the annual rate of growth of M1 decreased to 8.1% in July 2010, from 9.2% in June. The annual rate of change of short-term deposits other than overnight deposits increased to -6.0% in July, from -7.1% in the previous month. The annual rate of change of marketable instruments decreased to -8.3% in July, from -7.6% in June. The European Central Bank promised extra cash on Thursday to keep euro zone liquidity flush until the end of the year but stayed resolutely silent on the details of its controversial government bond buying program.